Pop Icon Hello Kitty Readies for Her Close-Up in Universal Studios Hollywood’s All-New Animation Studio Store Featuring Exclusive Merchandise Created for The Entertainment Capital of L.A.
​In true Hollywood fashion, the spotlight shines brightly on Hello Kitty and her friends from Sanrio, including My Melody, Keroppi and Chococat, as they star in a selection of park-exclusive merchandise, including accessories, apparel, stationery,souvenirs and collectibles. New park-exclusive merchandise will be released regularly. The shop also features the popular Hello Kitty Build-A-Bow display, inviting guests to customize their design from a selection of colorful bow options. Guestspurchasing any Sanrio item will also receive a complimentary Hello Kitty Hollywood-themed temporary tattoo, which mirrors Sanrio’s ‘small gift, big smile’ philosophy that is demonstrated globally across all Sanrio’s retail stores and special events. 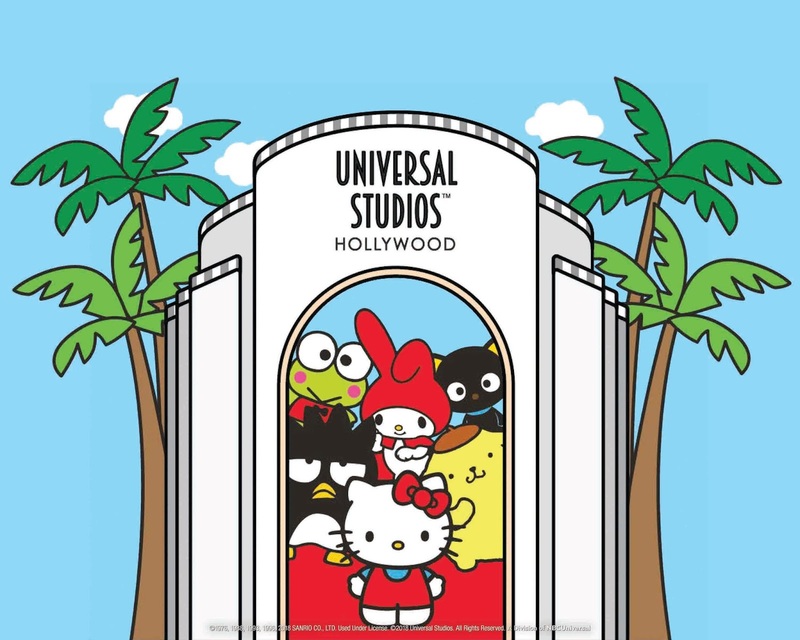 In addition to Hello Kitty, the Animation Studio Store will feature an array of merchandise from Illumination Entertainment films, including Minions from the blockbuster Despicable Me film franchise, and DreamWorks Animation, including memorable items from Kung Fu Panda. The Animation Studio Store sits at the heart of Universal Studios Hollywood in a new 6,000 square foot structure that draws its inspiration from California Mission revival architecture reminiscent of the Golden Age of Hollywood in the 1930s. Fusing style with whimsy, the retail environment weaves nimble animated characters into the fabric of the Spanish architectural design from the wood detailing to the stucco, wrought iron and painted tiles. More information is available at UniversalStudiosHollywood.com. Like Universal Studios Hollywood on Facebook and follow @UniStudios on Instagram and Twitter. Sanrio® is the global lifestyle brand best known for pop icon Hello Kitty®, and home to many beloved characters including Chococat®, My Melody®, Badtz-Maru®, Keroppi® and Gudetama. Sanrio was founded on the ‘small gift, big smile®’ philosophy – that a small gift can bring happiness and friendship to people of all ages. Since 1960, this philosophy has served as the inspiration to offer quality products, services and activities that inspire unique consumer experiences across the world. Today, Hello Kitty’s legendary breadth of products is available in over 130 countries and in retail locations including department, specialty, national chain retailers and Sanrio boutique stores. To learn more about Sanrio, please visit sanrio.com and follow on Facebook, Instagram and Twitter - @sanrio, @hello kitty.